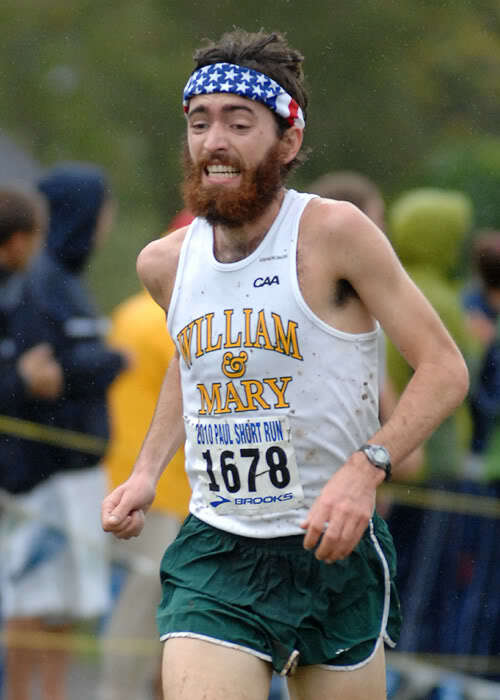 Former W&M coach and current Nike runner and MBA student, Ed Moran will be competing in Edinburgh in January. 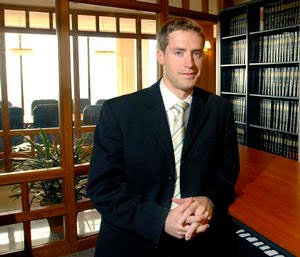 Click here for a nice bio on Moran and the upcoming race. About the only negative thing I can say about Shelby Hawthorne is that she did not start her annual team Christmas party until after I graduated! Here are the photos from this year's celebration. Back when I was in school (mid-80s) we were still divided into districts in XC instead of regions. We were the largest (when I ran the race, we typically had 250 in the race) in the country. Only 180 people ran in the NCAA race (as opposed to 240 today). Each district's number of teams were decided beforehand (we had the most with four). Our district could have up to 5 individuals as long as they were in the top 15 overall. 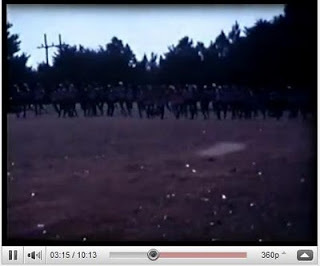 At any rate, thanks to Ed Lull for the heads up on this amazing footage. You will notice a number of great shots of W&M runners. Go here to see the race and a number of closeups of W&M runners. The footage actually is quite clear. The XC team was 4th (best showing ever) in 1973, but did not make it in 1974. Thanks to Randy and Shelby Hawkthorne for identifying many of the runners: Reggie Clark #359, John Greenplate #385, Gene Schultz #371, Christophe :Tophe” Tulou, George Baquis #358, and Tim Cook # 381 and Brendan Gallaher #374. Thanks to Tim O'Dowd '80 who took these pictures at the NCAA meet. The men were 19th at the NCAA meet. Here are the individual results. Chas Gillespie lead the way with his 58th place finish. If you go here on Monday at 12:48 pm, you will be able to watch the NCAA men's race live. The feed will start at noon. Also, if you want to see the "pre-game" show live, go here on Monday. Thanks to all of you for watching these interviews which have literally gotten hundreds of hits. Above is senior Lewis Woodard who discusses the maturity and the confidence of the team. You will also note that we finally kicked the echo problem! As a long time former coach, I know how much my W&M coach had an impact on me joining that fraternity. Well apparently the coaches coming out of W&M are continuing as All-Americans Ian Fitzgerald is at Duquesne University and Sean Graham is at American. 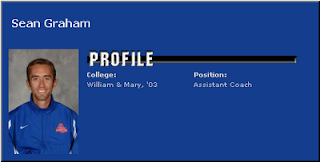 As you might know, Steve Walsh was coached by former W&M coach Harry Groves who left W&M to go to Penn State. As I said a week ago, the Southeast Conference had six team ranked 16 to 23 and all of them, save UNC, have now qualified for the NCAA meet. The bottom line is that while we are on the top of our conference, we have not yet moved up substantially in the national rankings and are now 16th. On the other hand, it wasn't even close at regionals, so look for a move up at the NCAA meet, esp. since W&M traditionally moves up when they hit the 10K part of the season. For many Saturdays, Steve Walsh and his predecessor Alex Gibby have called me with updates so I could get them on this page ASAP. Well now, you can get even quicker updates. If you go to Twitter and type in "wmxctf" you will be able to get real time updates from meets. This coming Monday, for example, if you can't watch the race live on this site, you can get a Twitter feed straight to your phone and see how our team does at the NCAA meet right away. 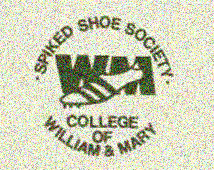 If you haven't done so already, please consider signing up for the "Spiked Shoe Society" on Facebook for updates and reconnecting with your W&M teammates. The NCAA just announced the teams going to nationals. Amazingly SIX teams from our Southeast Region are going (W&M, Duke, Louisville, UVA, Richmond and NC State). The only glaring omission is UNC that was ranked one spot ahead of us two weeks ago, but fell apart at Regionals and finished 9th. Here is the official NCAA meet site. The men are running at 12:48 on November 22nd. The meet will be shown live here and if you come back on the 22nd, I will have it in a separate window on this page. Interviews later this week. or at least this is who Flotrack thinks is going for the men's teams. They predict that SIX teams will make it from the Southeast Region. That would be more than I have ever seen if it holds up. As the narrator of this clip says, "William and Mary, William and Mary, William and Mary. They just dominated!" Here is the start and a race clip at 1.5 miles, the 5K mark and the 7K. New coach, same result! As usual the men start slow and end BIG which is especially amazing after losing all three of their All-Americans from last season. After being ranked no higher than 4th all fall in the region, the men just beat Duke to win the region and automatically qualify for the NCAA meet. If my math is right, this is the 15th straight time the men have gone to the national champs. W&M's #1 all season, Chas Gillespie, was only 12th, but the top five only had a 30 second spread between them. Here are the full results. I'll have more later and will put up the live feed of the men's race next Monday. The women moved up two places from their regional ranking to finish 9th in the region. Frosh Elaina Balouris was 23rd. All five of the top women are returning next year, so look for them to move up. I just heard about one more notable NYC Marathon result - that of Melissa Raddatz '99 here who ran 2:56:48 and was the 26th American woman and placed 53rd woman overall. Former coach and W&M grade Kathy Newberry debuted 2:35:23 and finished as the third American and 17th female this past weekend. Also Daniel Nelly '07 finished as the 17th American and 50th overall for males in 2:31. .
We've had 550 views of the interview I did last week, so I am assuming people enjoy this format. Here is one with W&M's new coach, Steve Walsh. To start the interview, click on the arrow. Also, I figured out how to stop the echo so the next time it will sound even better. The men have risen (barely) to 19th and 3rd in the district. Remember that only two teams automatically go to nationals in the district. Right now five schools in the district are clumped between 18 to 23. Likely 4 of the five will go to the NCAA meet, but one certainly will not. As a point of comparison, the men were ranked 8th at the point a year ago. The men (holding out some of their runners) won their elevenths straight CAA meet w. 17 points while the women were second to JMU w. a score of 28-46 (with two frosh running in the top three for us). Rob Sagar's funeral will be held on Tuesday, Nov 2 at 11:00am at the Good Shepherd Catholic Church which is on 8710 Mount Vernon Highway, Alexandria, Virginia 22309. There will also be a viewing on Monday, Nov. 1 from 6-8 p.m., at the Demaine Funeral Home, 520 S. Washington St., Alexandria (Old Town). More and more. Okay, this is my first attempt with Wetoku which is a free online service. There is a little bit of an echo, but it still comes out pretty nicely. To get it to start, just push the arrow on the left of the screen. Two days ago, my senior roommate senior Running Times writer, Scott Douglas '86, broke the story that Ryan Hall was leaving his training group and coach at Mammoth Lakes, CA. Now, Matt Lane '00 (who is being added to the W&M Hall of Fame on April 2nd at our Colonial Relays reunion) just spoke with Let'sRun.com and used his legal knowledge to interpret the rules to say that LaShawn Merritt will not be able to run the '12 Olympics. Actually this is a written interview from Flotrack. Look for an online interview with Chaz late Tuesday as he will be my first attempt at a computer to computer interview. In the meantime, read about how he went from Harvard to starting his Master's in Education and his idea of an easy day after a race! The men moved up six places in the NCAA coaches poll after the Pre-Nats meet. They, though, remain 4th in the Southeast Region. Our region has two automatic bids and would need (it has happened many times in the past) an at-large bid to go to the NCAA meet. That being said, WM's men are used to starting low in the polls and moving up. They were not in the top ten until they finished 5th last year, for example. The women, were and remain at the 11th slot. The men were running without two of their top seven two weeks ago, but Pre-Nats is the race to put it all on the line as it could help the team make it to the NCAA meet later in the season. The women (11 am EST) and the men (12:10 pm EST) are both in the "Blue Race." You can watch both races live by going here. Results will be put here. As was noted in your August mailer, we are planning a HUGE reunion the weekend of Colonials (April 1 - 3). There will be decade dinners on the 1st as well as a reception at the track, golf on the 2nd, an alumni house get together at night. We will then have a track meet (handicapped for age) on the 3rd. If you are interested in attending, please e-mail kenhalla@gmail.com and tell me the events you are tentatively planning on attending. Most importantly, though, we will be celebrating three milestones: 25 years for Dan Stimson as the director of track and field as well as the official inductions of Matt Lane and Roy Chernock into the W&M Hall of Fame. Thanks to Tim O'Dowd '80 for these and the men's pictures. If you want a higher quality resolution, you can e-mail "irishrunner@gmail.com" . Above is the entire race from earlier today. Check back tomorrow for Coach Walsh's analysis. Friday will be the first real test for the W&M squads up in Lehigh, PA. If you want to go to the race, both teams will be in the "gold" sections. You can find more information here as well as the results after wards. Jason Schoener '07, now in dentistry school, has started a 5K to raise money for rural and other poor areas in VA that have dentistry needs. If you are in the Richmond area, you might want to come out on October 2nd to run the race and help the charity. First off, most of the varsity were held out for next week's big meet (more on that later in the week), but click here to get all of the details. Also, you can sign up for our database (again by clicking here) and get regular updates from Coach Walsh. For what little it is worth, since the men have yet to put their best kids on the line-up. That will change, though, this coming weekend. 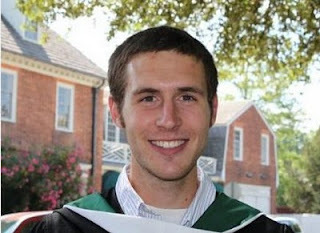 Click here to read a conversational interview with new men's and women's XC coach, Steve Walsh. Alex Gibby '97, now taking up a new challenge as track and field coach at the University of Michigan, led the Tribe to conference titles and the NCAA championships in cross country in each of his seven years with his alma mater. Last season, the cross country team was ranked in the national top 10 and finished fifth at the NCAAs. Three runners were named All-Americans as the team made their best showing since 1973. For his performance last year he was chosen as the W&M Coach of the Year. Considering all but two of the top seven are back, the pre-season coaches poll putting W&M at 28th is a little surprising. Nonetheless, I can't remember ever having W&M in the top 15 or higher for the first half season polls. The women are ranked 14th and the men 5th in the Southeast regional poll. A week after this alumni page reported it and eight days after it hit let'srun.com, William and Mary officially made the annoucement! W&M XC Team Is "One to Watch This Fall"
Okay, so this Running Times article does not rank any team, but rather list three contenders and five others "to watch" on the men's side. Now departed Coach Gibby thought the team would easily return to the top ten this fall and that should not change with our new coach. The first coaches' association poll comes out on the 30th of August. The question for the women will be can they get back to the NCAA meet after not being there for a number of years. 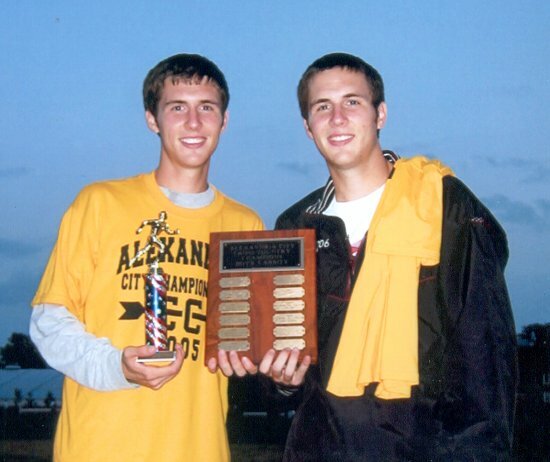 Walsh will be the first coach ever (at least in my memory) to coach both XC teams. 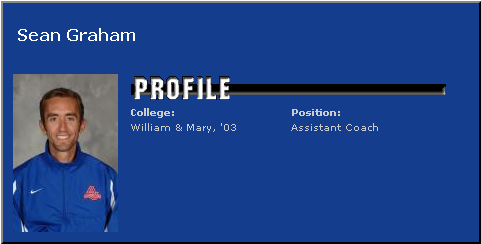 If you look at the Penn State alumni page, it appears Coach Walsh already has connections to W&M starting with his coach - Harry Groves - who was also a prior coach at W&M. Here is more info on Walsh. I am on vacation and have not talked to Coach Stimson, but according to a reliable source that Providence College assistant track coach, Patrick Walsh, will/has been hired to be both the men's and women's distance coach starting almost immediately. By .1, Ed Moran ran a PR of 13.20.25 at the DN Galan meet. Keith Bechtol won the San Francisco Marathon today in 2:23.28. Bechtol was a multi time All-American and still stands #4 on the all time 10K list with a 28:55. Keith is a PhD student in Stanford (Thanks for the heads up from Jared Campbell. If you have alumni information, please e-mail kenhalla@gmail.com). I just received the newsclip above from Keith's mom. Apparently the organizers didn't think he was a legitimate runner and there was some question as to whether he ran the entire race! Guess they don't follow this site! Today Moran finished just five seconds behind 2008 Olympian Ryan Hall in the Bix 7 Miler (see above video for finish). Gibby just accepted the position as associate head coach of track and field and head cross country coach to replace retiring Ron Warhaust. Gibby has had tremendous success at W&M topping it off w. the team's 5th place finish at the NCAA Cross Country race last fall. I just found out that the women's coach, Kathy Newberry is also leaving her position at W&M. Ed Moran, coming off his 2nd last weekend at the track nationals, turned around and won the USA 10K road championships at the Peachtree Road Race. 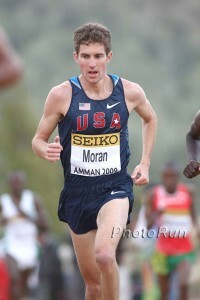 Moran actually finished 10th overall in the race in 28:19, but won the title by virtue of being the first American. Above is the post race interview. Ed Moran talks here with Runner's World before his race this weekend at the Peachtree 10K. If you let this film load, you can then drag it to the last mile to see Moran and Rupp going at it. Thanks to the comment a few posts ago that the daughter of Neal Hayes '83 finished second at the NY Dream Mile on June 14th in 4:43. The time is a Florida state record for the upcoming athlete who will attend the University of Florida in the fall. Above is an interview she had just before the race. Ed Moran was leading in the 10K at the USATF meet until 600 meters to go when he was passed by eventual winner Galan Rupp. Moran ran 29:03 to Rupp's 28:59. At least that is what it says on their website and will include interviews. My hunch is that the bigger races will be on ESPN first, but if you want to see Ed Moran in the 10K (tonight 8:55 MST) then you can probably see it here or above. 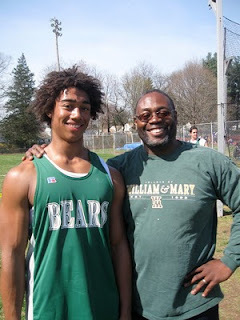 One of my very favorite teammates was Marlon Mattis '85 who is still #3 on the hammer list, so please endulge me as I write about his son Sam Mattis. This year he broke the NJ soph record (he owns the frosh one as well) for discus and won the state class and all state title. Finally he went to nationals and earned All-American (Stimson are you listening?!). More more and still more. Senior Harry Miller was the first non qualifier for the NCAA steeplechase final. Miller ran 8:46.39 improving his regional PR, but keeping him in 4th on the all time W&M list. Seniors Harry Miller and Nicole Kazuba each qualified in the steeplechase and pole vault respectively. Miller did so the # 4 all time for W&M school to join the school's most decorated female pole vaulter. Notably absent will be Jon Grey who was a DNF in the 10K. Other results are here, here, and here. This weekend W&M has sent a record 14 athletes to the NCAA regional meet. Here are all the entrants, the schedule and you can go here to see the action live and here are live results. Sophomore Brandon Heroux was the top men's performer with a second in the javelin. Liam Anastasia-Murphy was the only other placer for W&M coming in 8th in the steeplechase, while Harry Miller did run a 1:49 in the 800, but failed to make it to the final. More more and more. The women are in third heading into the final day of competition (see links below). Meanwhile, Ed Moran ran 28:39 at the Central Park 10K. You can watch the IC4A/ECAC meet live here this weekend and see live results here. Finally here is the schedule. While Jon Grey '11 is the 9th fastest among NCAA Div. I 10K runners, Track and Field News (how many of you knew that Randy Hawthorne used to free lance for them?!) has predicted that Grey will be 4th at the NCAA meet. Here is a nice article from the Tribe Club website. 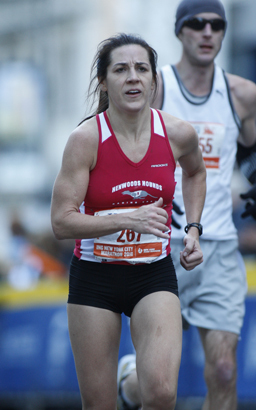 Sonja Friend '93 is now 37 and a mom, but still capable of running a 4:44.9 in the USA mile championships. More and video is above. Coach Emil Davis has uploaded lots of videos here from the CAA meet. Above is senior Ashley Williams winning the shot put. Moran ran 13:33 at the Peyton Jordan meet. Val's son, Mike Morrison, who competes for the University of California, set a school record and finished third in the process at the NCAA Indoor Championships. This was just a few minutes after his 29:38 win at Penn. 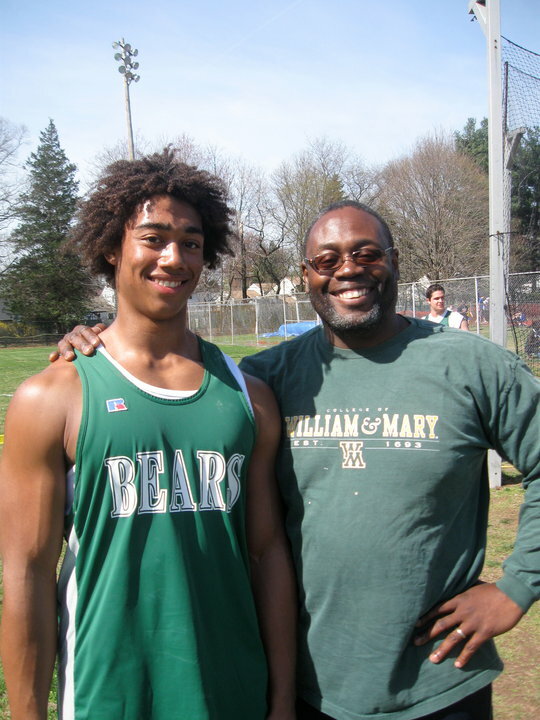 The 2010 Penn Relays has proven to be a great meet for W&M. Today saw the women finish 13th in 9:07 in the 4x800 while the men did the same by finishing ninth. Brandon Heroux and Zach Jordan also qualified for the IC4A meet in the javelin and hammer throw respectively. More and more Also, here are all the races themselves. Recently you all probably received an e-mail from senior discus thrower Rebecca Allred who ha an honors fellowship. In addition to her track prowess, she is "determing how to make derivatives of rhodamine dyes and studying their resposiveness to changes in pH." Above is some of her work and here is the blog on her work. Thanks to Tim O'Dowd '80 for taking pics of the 3rd and 6th place men's and women's teams from earlier today. Lewis Woodward won in 14:01 the College Men's 5K and Colin Leak notched the victory in the 10K in 29:38. The race videos can be found here. More results later today and again you can watch Penn live on the screen below. Here are the events (and soon results) for the W&M athletes at Penn. You can see the times of the events and watch them live above. To make it go to full screen, put your cursor on the middle of the video and an icon to make it full screen will appear. Grey now moves to 3rd all time W&M behind 12 time All-American Matt Lane (28:28) and yours truly (28:35). Above is the entire race. was to run from Confusion Corner to the wall of the House of Burgesses and back. Now you can do it and not worry about taking out tourists. The race is Saturday, April 17, 2010 at 8 for the 5K and 7:30 a.m for the fun run/walk 1 mile. To sign up and get details go to www.raceit.com. One of my teammates all four years at W&M was Tom Noble who is featured in this month's alumni magazine. Tom is still 3rd on the all-time list for the 1000 meters. I have limited access to the Internet, so will update this site in a few days. In the meantime, go here for all your Colonial Relays results. Jon Grey earned his second All-American stripe by running a brilliant race at the NCAA championships where he finished fifth. Grey started out virtually in the dead last position and then moved up slowly throughout the race. At 13:46.12, it is also a new PR for the junior. Click here for the NCAA schedule, here for live Friday coverage and here for Saturday. Jon Grey is the 13th seeded athlete in the 5K and will be running Friday at 8 pm (CST). I'll try and embed the race on this site, but you can always go here to watch. All-American Jon Grey has made the NCAA meet in the 5K with his 13:52. Even better is that it was a solo performance which he won by 61 seconds, so look for more improvement this weekend. I'll put meet links up soon. Above is the entire mile that Lewis Woodward won to move to the finals, but you can also go here and see all of yesterday's action. I'll put up some of the finals tonight. Unfortunately there are no field events and I have not found any videos from the ECAC meet. The IC4A and ECAC meets are this weekend. Click on their links to see the live feeds. Ali Mann '00 was 15th in her 1500 meter race (4:49) yesterday at the USATF meet. Click here for live results from the VTech meet this weekend (Fri/Sat). Ali Mann '00 dipped (barely) under the USA qualifying standard with her 4:47.03 (thanks to Kenneth Schmidt for alerting me to the accomplishment. Above is an interview with her after the race. Lane '01 Chosen as CAA "Silver Star"